Menatech Limited’s in-house and client technology development programmes frequently require the use of cutting edge simulation and analysis methods applied to complex and very large models. To remain competitive, we need a high speed and efficient solution with low cost and rapid turnaround. Menatech Limited conducted several benchmark trials of the enCORE service using the latest release of the OpenFOAM Computational Fluid Dynamics package running with 100’s and 1000’s of CPUs. We quickly confirmed the excellent performance of the cluster with significantly reduced costs. 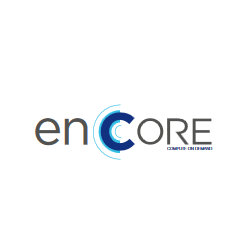 Our trial of the enCORE service delivered high performance and was immediately extended to full commercial use. It allows Menatech Limited to address the significant challenges of efficiently solving big data numerical simulations and significantly enhances our competitive edge.